Alhamdulilah! 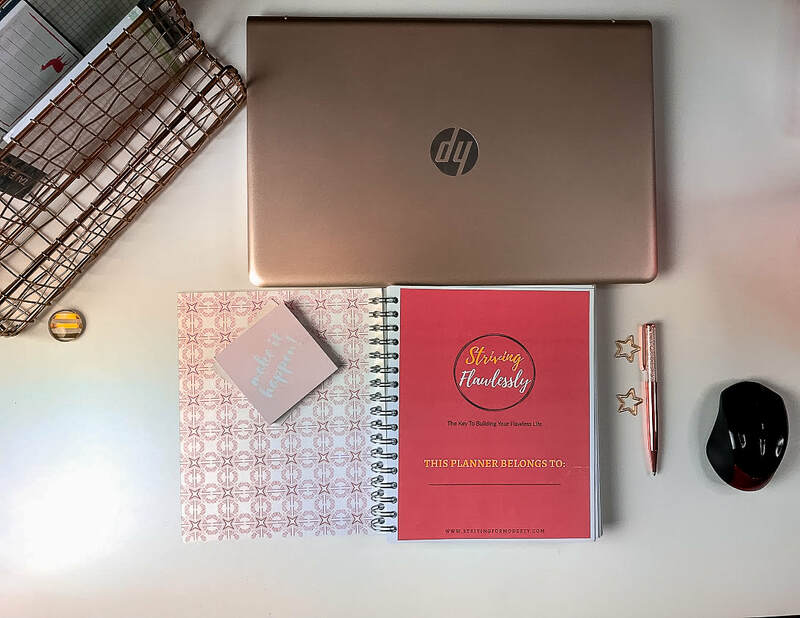 The Striving Flawlessly Muslimah Planner is HERE! This is the first of many SFM/SF joint products. From our Qur'an Tracker to the Ayah of the Week, the Striving Flawlessly Muslimah Planner will always keep you focused on what's #1. Our weekly and daily layouts are great for proving a general overview of your plans and remembering appointments. Ready for your SF Muslimah Planner?